Elon Musk spent part of his Labor Day weekend tweeting about World War III. Tesla (TSLA) and SpaceX's CEO wasn't making doomsday predictions because North Korea is testing nuclear weapons. What's got Musk much more worried about world war is artificial intelligence. North Korea "should be low on our list of concerns for civilizational existential risk," Musk said in one of a series of posts on Twitter (TWTR) early Monday. "Competition for AI superiority at national level most likely cause of WW3 imo," Musk said in another tweet, using the Internet short-hand for "in my opinion." The dire prediction was in response to a recent comment from Russian President Vladimir Putin. "Artificial intelligence is the future not only of Russia but of all of mankind," Putin said. "Whoever becomes the leader in this sphere will become the ruler of the world." At the moment, the United States, China and India are the three countries leading the AI race, according to one top tech industry executive. But Musk believes others will try to catch up by any means possible. "Govts don't need to follow normal laws," he said in one tweet. "They will obtain AI developed by companies at gunpoint, if necessary." In another reply on Twitter, Musk speculated that an AI system could choose to start a war "if it decides that a prepemptive [sic] strike is most probable path to victory." Musk has repeatedly issued warnings about the perils of AI, calling for new regulation to keep the public safe. In the process, Musk has clashed with at least one fellow tech billionaire: Facebook (FB) CEO Mark Zuckerberg. Zuckerberg called Musk's AI doomsday rhetoric "pretty irresponsible." Musk responded by calling Zuckerberg's understanding of the issue "limited." 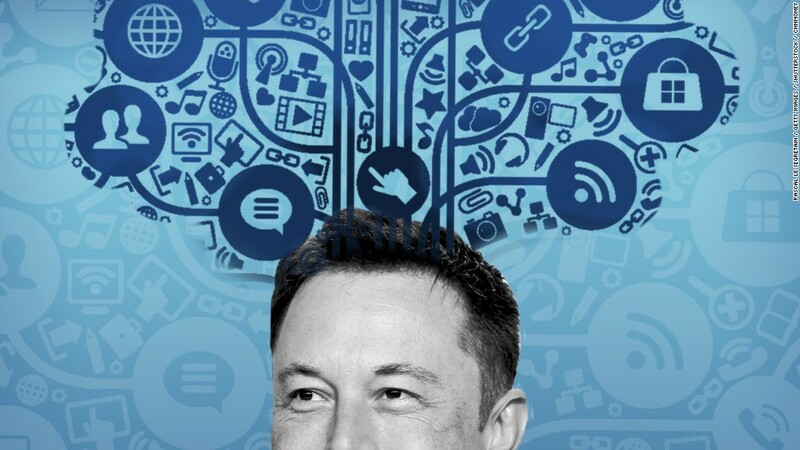 Musk has tried to address his AI anxieties through two new ventures: OpenAI, a non-profit AI research company, and Neuralink, a startup building devices to connect the human brain with computers. "I was trying to really sound the alarm on the AI front for quite a while, but it was clearly having no impact," he said in one interview around the launch of Neuralink. "So I was like, 'Oh fine, okay, then we'll have to try to help develop it in a way that's good.' "